The Tesseron Family has long been, and still is, one of the finest exponents of luxury, very old, aged Cognacs (Cognac Tesseron's range is a exclusively X.O). Their vineyards are in the Cognac region of Grand Champagne, and were purchased in the 19th century by Abel Tesseron, whose grandsons, Alfred and Gérard, are managing today. Melanie Tesseron represents the fourth generation of the family and is involved in the Marketing side of the business. 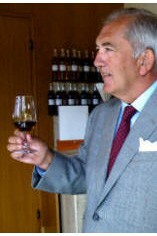 The Tesserons are also well-known by wine-lovers as the proprietors of the Bordeaux châteaux Pontet Canet and Lafon Rochet. While most of the Cognac’s vineyards are dominated by Ugni Blanc, the Tesserons have maintained planting of the two other historic varietals: Folle Blanche, that imparts finesse, and Collombard for strength and complexity of flavours. The three grapes are harvested, vinified and distilled separately and then blended and left to mature over many years in Tesseron’s 13th century cellars at Chateauneuf-sur-Charante. The Tesseron’s range is specifically labelled as ‘lots’, a term rarely used in Charente. As Alfred Tesseron explains: “These ‘lots’ are in fact blends or perhaps more precisely marriages, taken from reserve stocks in order to favour more aromas, structure and complexity”. Although it is not possible to use the term ‘vintages’ with regards to Cognac under current regulations, these ‘lots’ reflect an average age of cognac blends taken from the very best years in cognac production. 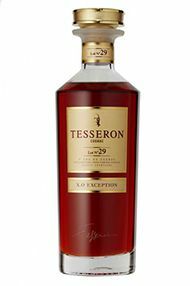 The Tesseron Lots” range consists of Cognac Tesseron Lot N° 76 XO Tradition, Cognac Tesseron Lot N° 53 XO Perfection, and the etheral Cognac Tesseron Lot N° 29 XO Exception.